Take to the arena or prove your worth on the battlefield when you wield the LARP Roman Short Spatha. 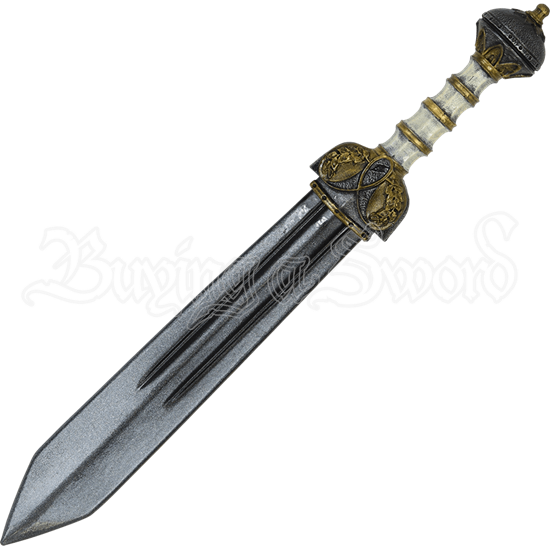 Inspired by the weaponry of ancient Rome, this high quality LARP sword is based on the standard blade used by heavy infantry. A sturdy closed cell construction lend safety to this LARP blades fiberglass core, and strong latex coating protects its form. The straight blade features two fullers down its length. 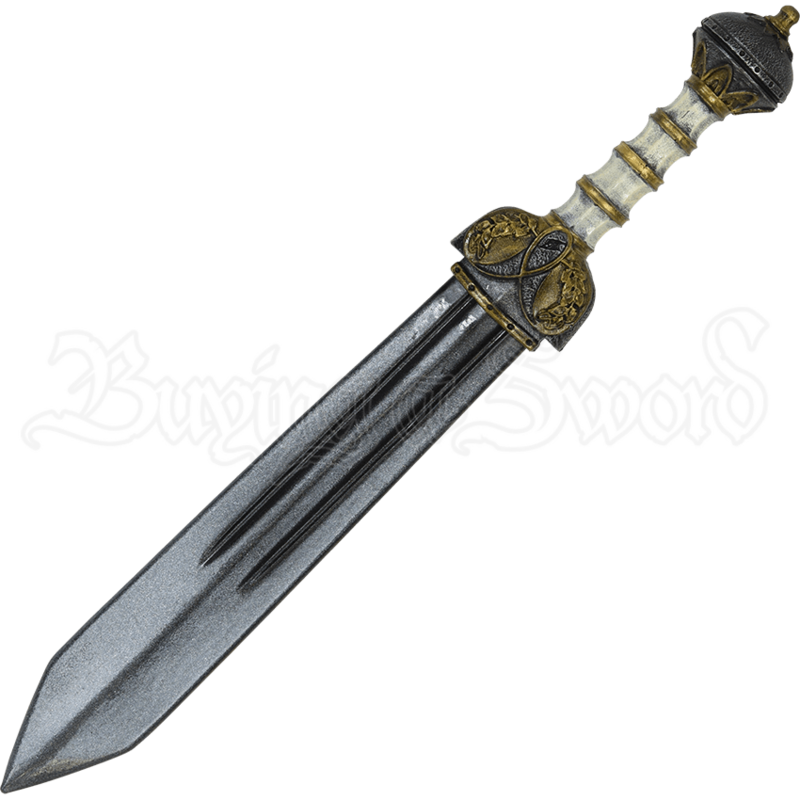 Its hilt, called a capulus, is cast from polyurethane, and its knobbed, faux ivory grip provides a firm hold. Antiquated iron and gold colored accents detail the guard and pommel, lending regality to its overall design. This hand painted LARP weapon makes a fine addition to roleplay arsenals and will surely impress at your next LARP gathering.